Needing inspiration? Check out some of the world’s most ambitious construction projects! The combination of technology and state-of-the-art tools and equipment means that architects and construction firms around the world are reaching even greater heights and completing projects that just a few years ago would have seemed impossible. It took a whopping 17 years to complete and cost $59 billion! The world’s largest dam, it stands 595 feet tall, 131 feet wide and over 7600 feet long! Producing electricity (in 2014 it set a world record for the amount generated), the dam also aims to help reduce flooding. 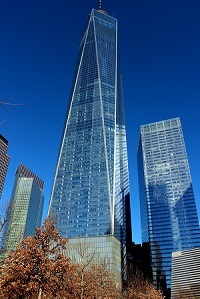 A relative snip at a cost of just $3.8 billion, the One World Trade Centre is the tallest building in the western hemisphere, rising symbolically to 1776 feet. The glass and steel structure features a concrete core that offers extra strength. Expected to be completed by 2019 and costing billions, Crossrail is a new 73-mile railway line under construction in London. 26 miles of new tunnel will eventually connect 40 stations, ten of which are brand new. One of Europe’s largest railway and infrastructure projects, it is hoped the new line will ease the burden on the capital’s underground system. Taking a surprisingly short two years to build, this $538 million hotel has been built into a 328-foot quarry face. Featuring 19 floors, guests can dine in the underwater restaurant, as two of the hotel’s floors are completely underwater. 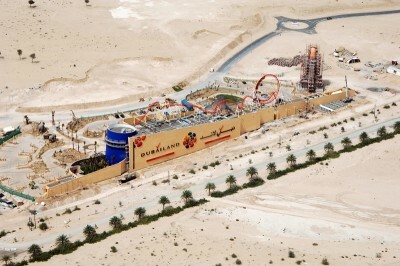 Making the New Century Global Centre feel ‘compact’, is Dubailand, which will be the world’s biggest theme park (Walt Disney World could fit in it three times over). Once completed, expected in 2025, visitors can choose to stay at one of the 55 hotels, visit the theme parks, sports venues or the giant mall. While it is unlikely you will be building a rival to Dubailand, your next project will no doubt also require expertise, knowledge and vision. Here at Red Band we supply a wide range of professional standard construction tools and equipment that make tackling even the toughest jobs easier. To place an order, or for help and advice, call the team on 0116 260 2601.